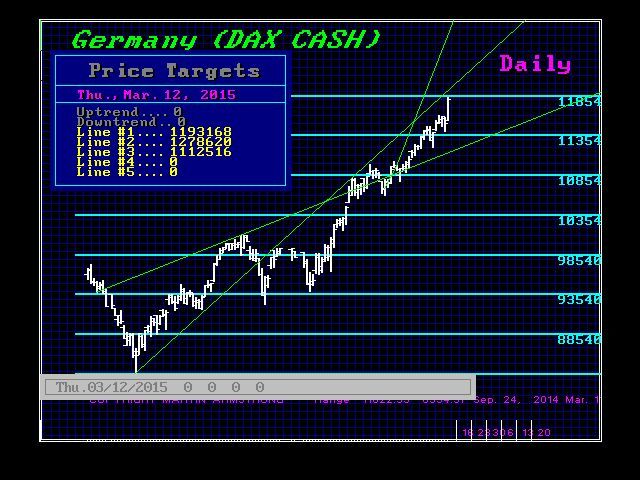 The DAX rally is being driven by the collapse in the Euro. As strange as it may seem to say, the DAX has not actually broken out just yet despite what it appears in nominal terms. This is precisely what takes place when a currency declines, which I have been harping about. ALL ASSETS RISE in proportion to the decline in a currency purchasing power. It is NOT inflation; it is the other side of currency collapse. The German hyperinflation is the expression from the currency viewpoint when the currency declines in purchasing power and assets rise in proportion. INFLATION is the normal growth rate or the surge in one sector due to changes in supply and demand. When the advance in assets is across the entire spectrum, it is NOT supply and demand driven, it is the collapse in CONFIDENCE in the government. Our world leader are totally lost in their corruption to see what the abyss they are leading society into. 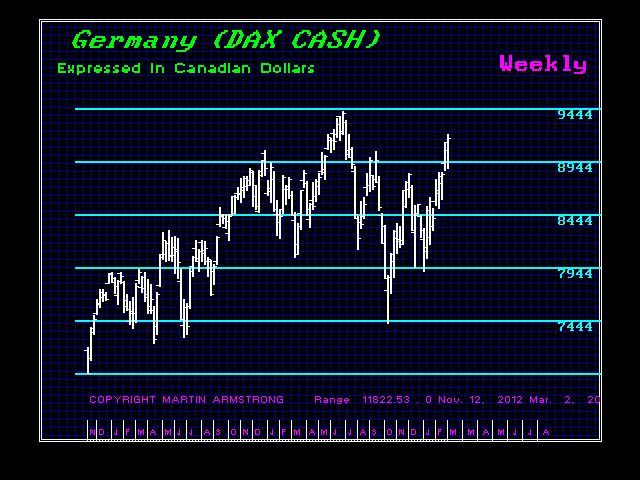 Now look at the DAX in Canadian dollars. For North Americans, they have lost on this rally not gained if they were also not simultaneously short the euro. We can see clearly here that the DAX has not broken out in REAL WEALTH TERMS. 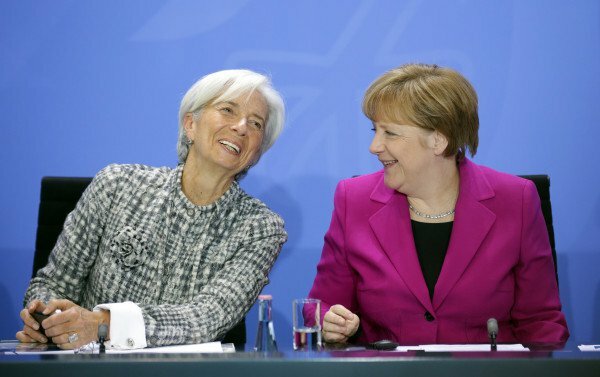 The DAX is trying to keep up with the collapse in the Euro. 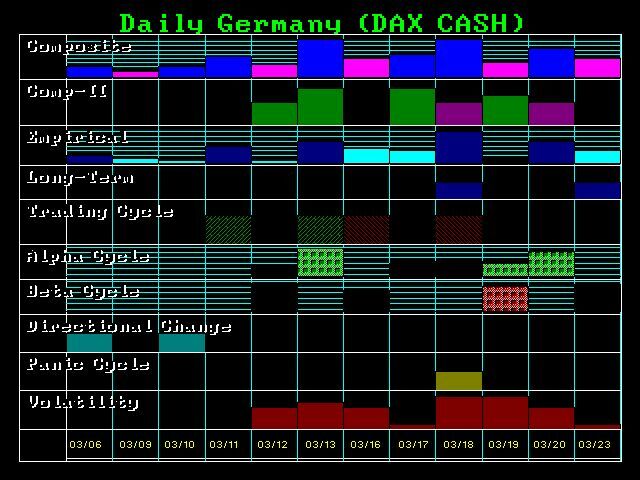 We are not done with the DAX yet. As they say, it ain’t done until the fat lady sings. Well maybe this time it will be Merkel. Here is what we call a BUBBLE LINE of demarcation. Breaking through this projection is often what signal the Bubble. But note the validity of this projection how it lives on well after the bubble high. The reaction thereafter is still captivated by this unique projection. 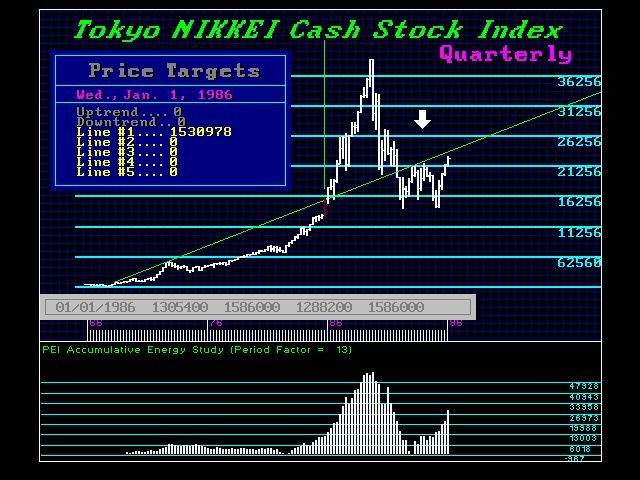 Our Bubble Projection for the Greatest Bull Market and Great Depression was steeper than that in Japan for 1989. 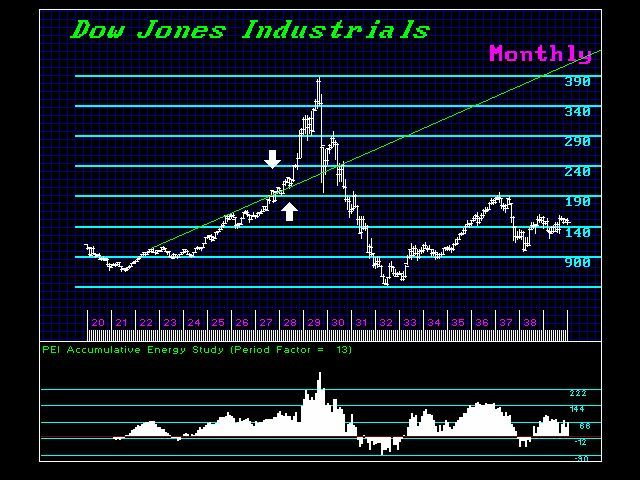 This was a reflect of higher highs, but one over a much longer time period. 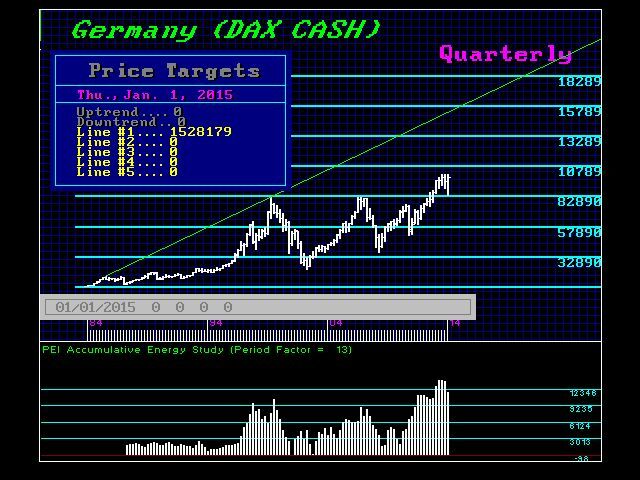 Now let’s look at the DAX. The Bubble Project has not yet been reached. This is a capital flow which is internal rather than international. Hence, the DAX has risen and surprised everyone, but it has NOT broken out. It is internal capital flows moving (1) to German and (2) out of the banks.